We are a full time ranching and hunting family with years of experience located in central Arizona, 1 1/2 hours west of Prescott. We currently control over 70,000 acres of private and state leases in some of the greatest mountain lion habitat Arizona has to offer. 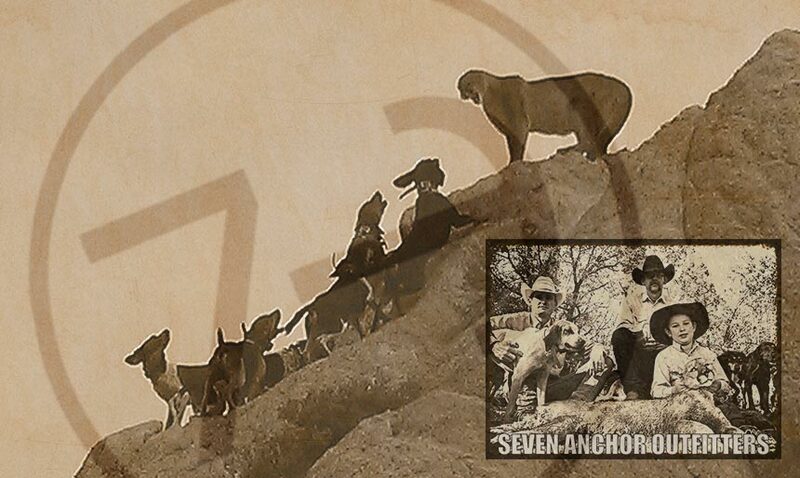 The country we hunt varies from the saguaros in the deserts to the piñons in the higher elevations. The terrain is extremely rugged and very rocky. We use very gentle, sure footed horses which are used in day to day ranching operations for means of transportation. Hunting on horseback and staying with the dogs gives you a chance to experience the hunt and encounter miles of God’s most beautiful territory. Dry ground mountain lion hunting is more of a challenge, but will give you more satisfaction than just the harvest. Our dogs are well trained to dry ground conditions and are worked hard year round. Camp will be out of the ranch headquarters or wall tents with all the comfort of home. There are no promises or guarantees other than our commitment to work hard at giving you the hunt of a lifetime with means of high success.